1-3 day hikes in Corbières, with a professional guide. Suitable for all. Hikes ranging from 80 to 320km on smooth paths and more demanding tracks. 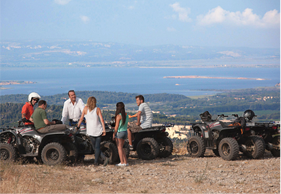 Discover the estate on a quad (350cm3 Yamaha) You’ll love the landscapes and the commanding views of the Pyrenees. 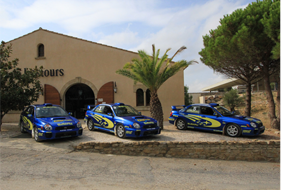 The Château de Lastours driving school is in an incredible setting. With the help of our expert staff, hone your cross-country driving techniques in your own vehicle or one of ours (5 Isuzu DMax / 2 Defenders). You’ll work on safety manoeuvres, banking, steps, crossing ditches etc. As a passenger in a 4 wheel drive vehicle, follow in the tyre tracks of the Dakar competitors, through woodland and rocky hills and discover the many facets of the Lastours estate. Drive a Subaru for the first time. It’s breathtaking! As copilot of the Subaru, you’ll will love the sliding feeling and appreciate the precise driving necessary to negotiate the famous Trophée Andros track. Strap yourself into the driver’s seat of a Subaru, with a teacher by your side and grasp the techniques of driving on ice. 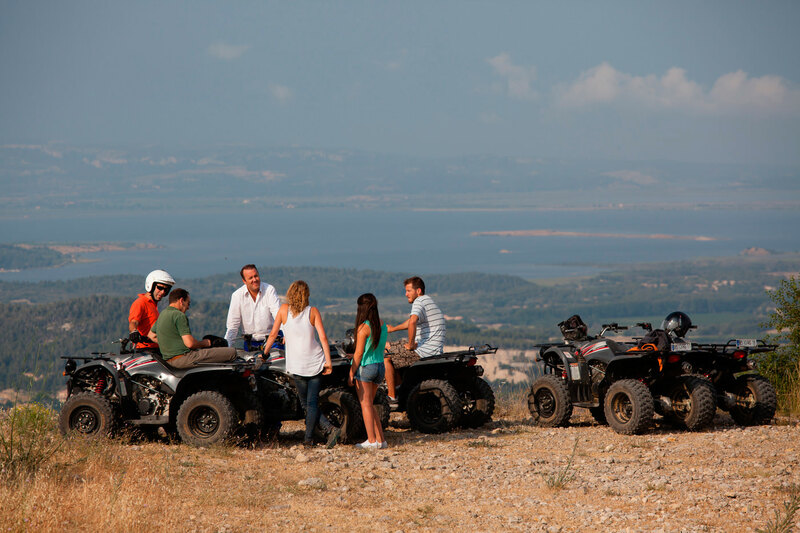 Feel like a rally driver and have fun!